With over 75 years of combined experience, our professional staff has developed an ability to address unique requirements inherent in diverse and complex construction projects. No project is too large or too small. We find satisfaction in a functional and cost effective manner by providing high quality construction services. Our engineering background provides a basis of understanding for all elements of a construction project. The backgrounds of our construction and engineering staff encompasses a wide range of diverse services including pre-construction research and analysis, design synthesis, construction documents and specifications and construction management and administration. 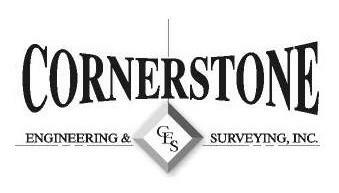 Cornerstone Construction Concepts, Inc. (CCC) is our full service commercial general contracting company. CCC's projects have included condominiums, restaurants, churches, schools, retail stores, office buildings, lodges and banks. Our knowledgeable staff is familiar with the unique challenges associated with commercial and residential construction. Cornerstone Engineering & Surveying, Inc. (CES) has extensive experience in site development of commercial and municipal sites, subdivisions, fairgrounds, parks and trails. We work closely with architects, landscape architects and other consultants and the owner's goals. Our projects include design for utility infrastructure, grading and erosion control, roadway and parking areas, building locations, drainage, stormwater and wastewater management.